Author: Wolston, W. T. P.
It is possible for truly saved souls to grow cold in their affections toward Christ, to leave their first love (Rev. 2:4). But the Lord is ever ready to restore His failing saint. Poor Peter failed sadly; however, he never lost his salvation. When he was restored, the Lord committed His precious sheep and lambs to Peter's care for feeding and shep¬herding. This book is full of comforting, encouraging, and exhortative ministry to preserve us from falls and to restore us when fallen. May the Lord be pleased to use it for blessing to His own. 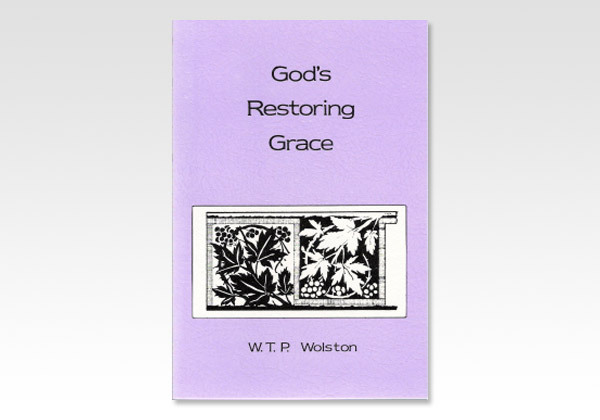 God's Restoring Grace was previously printed under the title Backsliding and Restoration.